In mid-October, the leader of the Five Star Movement announced that in November his party would launch a petition supporting a referendum on Italy’s exit from the eurozone. A majority of Italians is likely to vote in favor of leaving the eurozone if a referendum, proposed by the Five Star Movement political party, were to take place next year, a member of the party told Sputnik radio Tuesday. In mid-October, Giuseppe Piero “Beppe” Grillo, the leader of the Five Star Movement announced that in November his party will launch a petition supporting a referendum on Italy’s exit from the eurozone. Grillo said that everything will be ready for voting to take place by December 2015. “When the parliament receives one million signatures it will have nothing left to do but to meet the interests of the Italians and consider the issue of holding a referendum. We have no doubts that the law will be adopted and the referendum will take place. Moreover, according to the data at our disposal, the Italians will vote for exiting the Eurozone,” Carlo Sibilia, member of the Five Star Movement said. Sibilia added that since the euro was introduced in Italy the country’s state debt had increased dramatically and that the new currency caused an increase in labor costs, resulting in a decrease in production. According to Sibilia, the Five Star Movement is campaigning not only for the return of the Italian lira, but also for monetary sovereignty. Article 117 paragraph A of the Italian Constitution clearly states that only the state has a right to bear responsibility for the currency [policy], meaning Italy and not the European Union. That’s why we are committed to gain[ing] monetary sovereignty that will allow us to control money issuing at the state level. A state bank, which we do not have at the moment, should be created in Italy –as it is known, there is a share of private capital in the Bank of Italy. Sibilia stressed that leaving the eurozone does not mean leaving the European Union. However he believes that countries should assess potential benefits and drawbacks prior to entering the eurozone. We in Italy, for example, have fallen into a trap of the media and the ‘great’ professors and pseudo-economists who proved unable to predict the crisis we are currently experiencing. That’s why I call on the countries that are considering the possibility to join the eurozone [for instance, Croatia] to conduct a thorough analysis to understand whether they will benefit from this step at all. 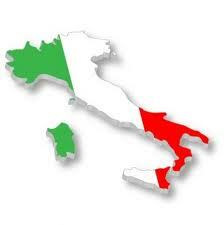 The Five Star Movement finished second in the 2014 European Parliament election with some 21 percent of the vote. One of the party’s key election promises was the holding of a referendum on membership of the euro, although the Italian constitution does not provide for international agreements to be cancelled through referenda. Italy has been a member of the euro area since January 1, 1999. Euro banknotes and coins were introduced into circulation in Italy on January 1, 2002. Currently, 18 of the 28 European Union member states have adopted the euro.